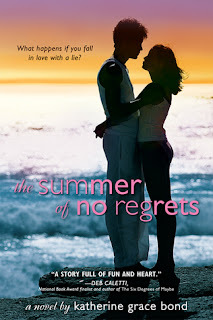 Good Choice Reading: Blog Tour: The Summer of No Regrets by Katherine Grace Bond - Guest Post! Blog Tour: The Summer of No Regrets by Katherine Grace Bond - Guest Post! “Celebrity-in-Hiding.” When I first started writing THE SUMMER OF NO REGRETS, I didn’t want to admit how much that idea intrigued me. 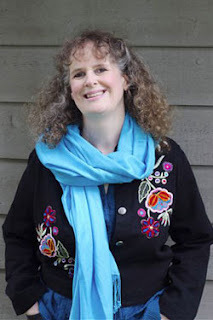 I’m a lot like my main character, Brigitta—all about finding the meaning of life, not fantasizing over whether the guy next door is a movie star. When I bought a National Enquirer, I explained to the grocery store clerk that it was for research— that I was writing a book (“Yes,” I told her modestly, “I am an author.”) I certainly didn’t normally read that sort of thing. Of course not. Well, okay, maybe the headlines. Occasionally. So is Brigitta’s next-door-neighbor a secret superstar? We can talk about that later. I need to go to the grocery store and read some headlines.